The road that has led Fontana to this life-changing moment was long and is bolstered by her impressive resume, having written songs for U.S. superstars such as Britney Spears and Justin Bieber, as well as K-pop queens Girls’ Generation. But things truly took a turn when “Euphoria,” which she co-wrote with DJ Swivel and his partner, Candace Sosa, ended up in the hands of BTS and as the lead song on their 2018 album Love Yourself: Answer. 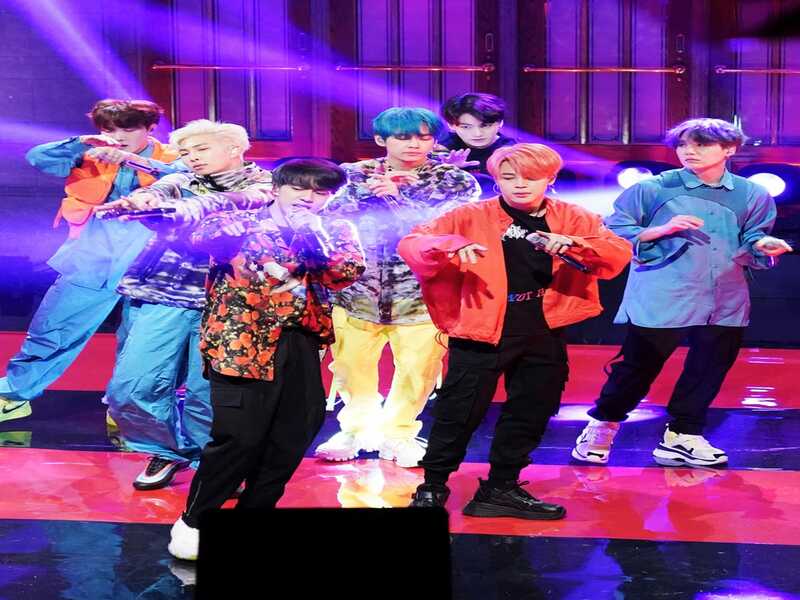 For Map of the Soul: Persona, released on Friday, April 12, Fontana contributed two tracks: “Mikrokosmos,” an airy, twinkling anthem that compares loved ones to stars in the galaxy, and "Boy With Luv" featuring Halsey, which shattered YouTube viewing records. Refinery29 caught up with Fontana about performing on Saturday Night Live, writing “Boy With Luv,” and the freedom and family that BTS has given her. “ With ‘Euphoria,’ we wrote it first and then BTS chose it, thankfully. But with this song, I think they were interested in having a certain palette. Because, as you know, the feel and concept of a [K-pop] album are nearly as important as the song itself. They had a track ready, Lindgren and I sent our idea back, and they said, ‘Cool, send us the stems.’ Usually, when a record label asks for vocal stems, that means somebody's recording it. I met up with their A&R for coffee, and she tells me, ‘By the way, you have the next BTS single.’"